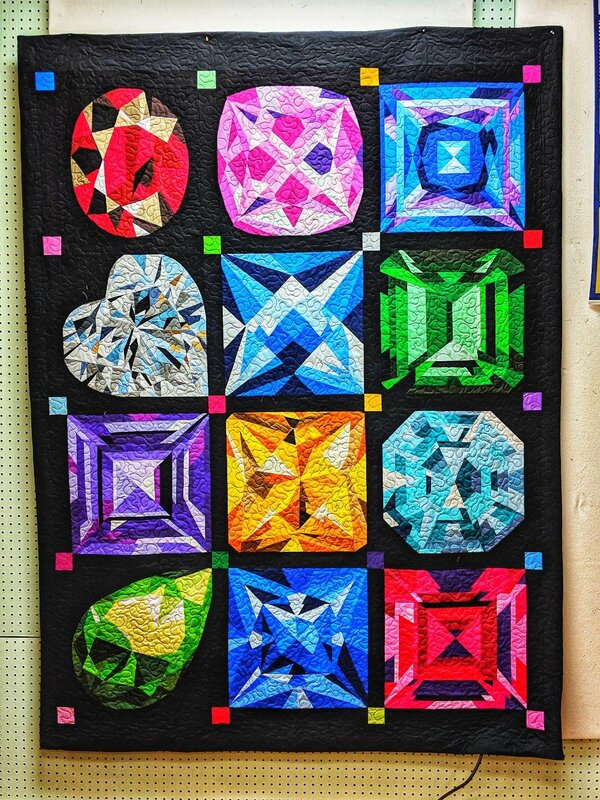 What's better than a box of gemstones made into a quilt? Using MJ Kinman's simplified methods and designer chosen cotton fabrics, each month you'll create a unique 17"x17" gemstone block. Your block kit will include your pattern and required fabrics of Painter's Palette solids to exactly create the contrasts needed to make each stone 'sparkle'. Your pattern will include detailed instructions, full color images, full color-coordinated fabric key, a full-size printout as well as a full size pattern printed on freezer paper. You'll use a fabric-by-number code to determine fabric used and placement. Your blocks can be finished either individually or as a complete jewel box quilt. Finishing and quilting instructions and ideas will be discussed during class.